Prominent & Leading Manufacturer from Ahmedabad, we offer plastic pipe extruder and single screw extruders. With sincere intentions to continue and maximize our position in the industry, we are offering a comprehensive assortment of Plastic Pipe Extruder in the market. In addition to this, our precious clients can avail the offered products in many specifications. We make sure of full quality deliverance with the aid of diligent quality controllers. We are one of the leading organizations actively involved in offering a broad gamut of Single Screw Extruders to our respected clients. Our offered product is manufactured using high-quality basic material and latest technology. 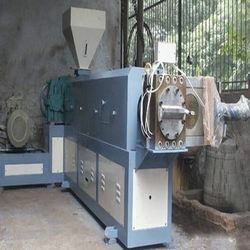 Moreover, offered products are used in plastic extruder machine, plastic extrusion machine, extruder machine and reprocessing plant.